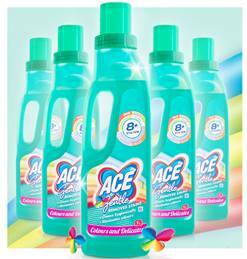 Ace have also been kind enough to offer one of my readers 5 bottles of Ace Gentle. Entry is via rafflecopter below. Good Luck! Winner has 28 days in which to respond before we reserve the right to draw another winner. Grease marks they are so stubon! Tomato is a nightmare. And we eat so many of them in different forms – tinned, fresh, ketchup, salsa, soup, curry, juice . . . Hot chocolate, ive tried everything! Whatever it is that my son comes home with on his white school t-shirts! Sophie’s homemade purée! Nightmare, they just won’t come out, plus she is the messiest little one ever! blackberrys – can nnever get them out!!! hello there great giveaway ! Usually anything tomato based like pasta sauce. Black from the bottom of boys socks! It sounds a bit grim, but blood, those tiny little marks from maybe a chapped lip wiped on a sleeve or something and it just is there forever. Beetroot – it’s a complete nightmare! Pasta sauce.. it’s my nemesis!